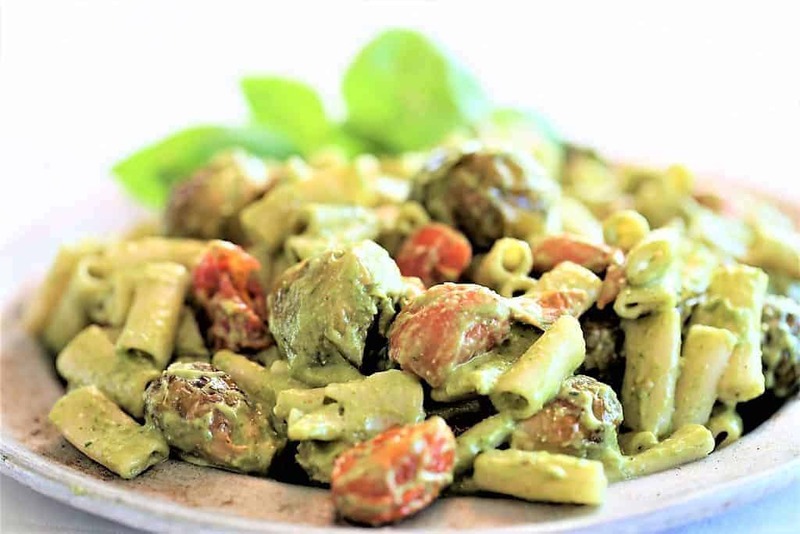 Roasted Tomato and Brussel Sprouts Pasta With Pesto. Vegan, gf, df. I have been growing my own basil for awhile now, and when it is flourishing, I love to make pesto. 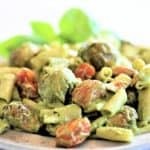 There are many interesting dishes that you can create with pesto, but today, I added roasted vegetables and pasta to make a delicious and unique flavor. 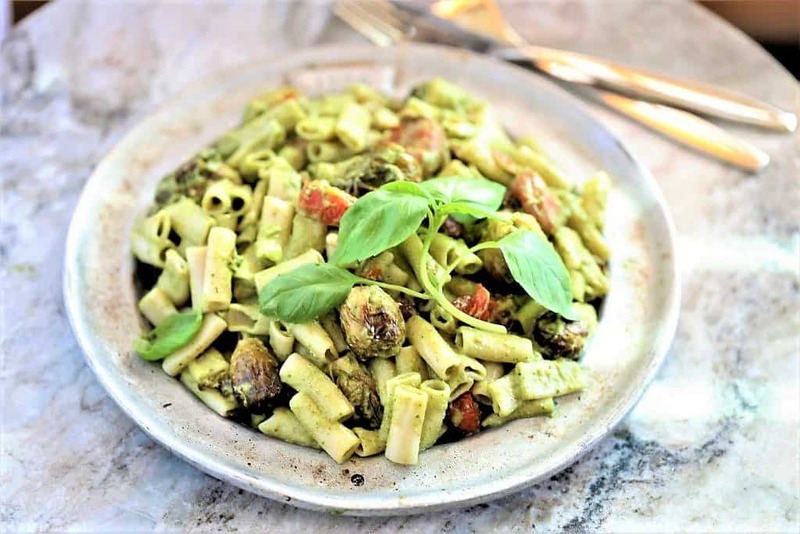 This roasted tomato and brussel sprouts pasta with pesto has a rich garlic flavor that adds that extra yum. Gluten free, dairy free and vegan–you can’t get healthier or more delicious than this. Pasta with peso and roasted tomatoes, brussel sprouts. Add roasted vegetables to pasta. Add to pasta and vegetables; toss and serve.